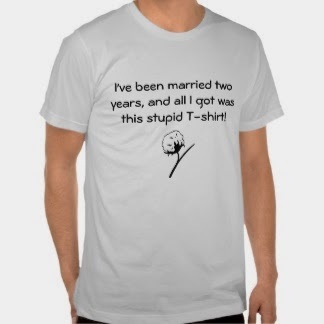 For our anniversary in May, Kristin and I designed matching T-shirts. They are now available for sale, in an array of styles and colors. I won't ruin the joke by explaining it, but I will give a hint.